T. S. Eliot claimed James Joyce killed the nineteenth century. And he ought to know — Eliot, reportedly, was at the scene of the crime. Some say it was a mercy killing. Some say it was an atrocity. 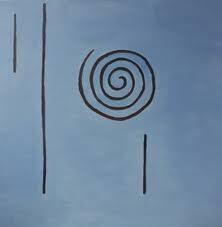 After it was all over, after Joyce’s work was done, witnesses testified that the literary landscape was a waste land. All genteel fiction of the past was dead, buried by a flash flood of words from the future. As critic Edmund Wilson wrote, Joyce was “the great poet of a new phase of the human consciousness.” A new literary modernism mapped — the deed was done. Adding to the evidence, it has also been firmly asserted that Joyce’s work was obscene, pornographic. Yet he had been an altar boy, a pious young man, always at the top of his class. Accused of being crazy, superstitious, manipulative, thin-skinned, Joyce was an acclaimed genius, accomplished linguist, an experimental writer of prodigious virtuosity, a fond father, a man of extremes and excess nearly always broke, a Catholic apostate — though one with a curious affinity for the liturgy — and an exiled Irish nationalist steeped in myth and legend. It took him years to get his novel Ulysses past US Customs, requiring an extensive obscenity trial and landmark decision to make it available to the American reader. And his long-suffering mother just wanted her son to be a nice Jesuit-educated priest in Dublin. What did work out was that according to just about every Literary List produced by our Top Ten-obsessed culture, James Joyce wrote one of the most important novels of the twentieth century. Ulysses — that most admired, loved, hated, mystifying, misunderstood and popularly unread novel. A book that launched a million dissertations. And now, a most rare event — a new life of a very private man who hated biographers, called them “biografiends.” Joycewas famously uncooperative, avoiding interviews at all costs. As a result, biographies of him are few and far between. Richard Ellmann’s James Joyce — invariably referred to as “magisterial,” a doorstop of a scholarly standard by which all twentieth century literary biographies are measured — was published in 1959, revised in 1982 and has served the robust Joycean industry well for many decades. Joyce, who died in 1941, would have hated it — this new one too. The fact that Joyce’s copyright expired this year certainly helped in the creation of this new biography — the Joyce Estate, led by Stephen Joyce, the great man’s grandson, has been notoriously uncooperative with writers for years. Gordon Bowker walks through the deserted, century-old “rooms” of James Joyce’s life, duly noting the location of the furniture, the details, the fabrics, which windows or doors are closed, which ones are open. He fingers the curios on the shelf, but, unlike Richard Ellmann before him, he dares to spin the gramophone, uncover the chair in the corner and try it out, see how it feels; he sits down, noticing the view from that corner of the long-dead room. He shares it with us, helps us see the life of a great writer. Ellmann, by contrast, dryly relates this epochal literary event; buries it in a long paragraph hidden within a long chapter. The facts are the same, the style and emphasis completely different. Ellmann is a stern professor; Bowker, a fervent guide. 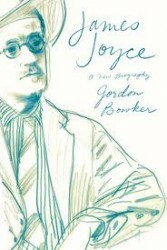 One of the strengths of Bowker’s approach is his presentation of the roots and origins of the famous characters — Leopold Bloom, Molly Bloom, Stephen Dedalus, Humphrey Chimpden Earwicker, all drawn from the streets and people of Joyce’s Dublin, his friends, enemies, relations — we know them now, we see them. None of this, though, is particularly revelatory in Joyce studies. It is Bowker’s style and grace that illumines and enchants. You will be inspired to reread. Or first read. Finnegans Wake on the beach this summer? It could happen. A few reservations. Bowker does not much explore the actual writing, the real scene of the crime of the century. His interest is Joyce’s “elusive consciousness.” Those looking for a bit of literary criticism, commentary on the writerly words on paper, the “riverrun, past Eve and Adam’s, from swerve of shore to bend of bay” (Finnegans Wake), or the “ineluctable modality of the visible…seaspawn and seawrack…snotgreen, bluesilver, rust” (Ulysses), must go elsewhere. And Ellmann’s more scholarly use of footnotes and extensive endnotes are far preferable — both are frequently fascinating. Also, Ellmann’s use of a constant guide to the current year and Joyce’s age at the top of each page is very handy, as is his much more useful and fully annotated index. But hints of the beauty of this biography are hidden in plain sight—the cover. While past books about Joyce are covered with some famous old photograph, a glimpse of a distant and vanished past, James Joyce: A New Biography is wrapped in a lovely work of art, a portrait of Joyce painted by noted artist and designer Vivienne Flesher. Based on one of those old photos and using colors reminiscent of that first Parisian edition of Ulysses, white and a blue sea green, she, like Bowker, has captured the mysterious music of the writer’s soul. His eyes, nearly blind, are the focus—they are dark but with a faraway look. Joyce saw and he attempted to make us see, which is all a writer can hope to do. Makes one think—if this cantankerous Irishman killed the nineteenth century, who will kill the twentieth? This entry was posted on Wednesday, July 25th, 2012 at 4:40 pm	and is filed under Scribblings. You can follow any responses to this entry through the RSS 2.0 feed. Both comments and pings are currently closed.